This post was created in partnership with Artifact Uprising. 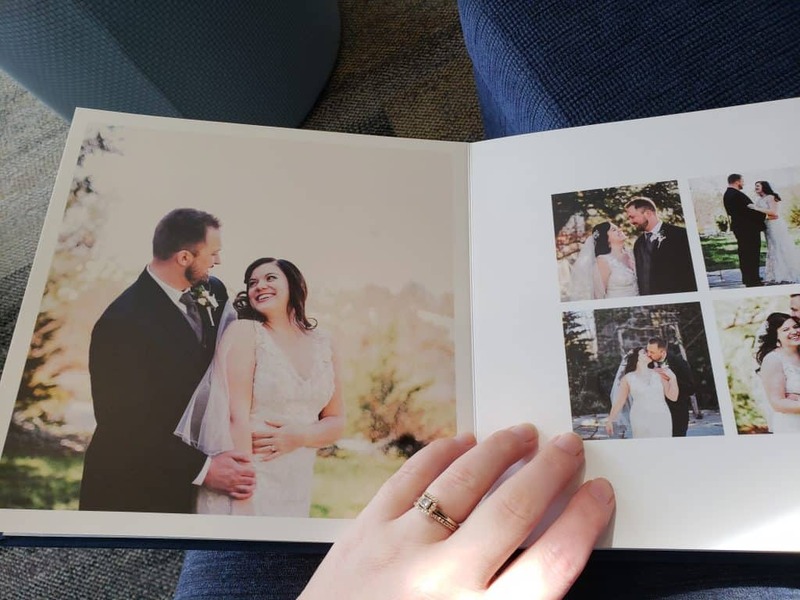 It only took us two and a half years to get around to printing our wedding photos. While we loved browsing through the hundreds of gorgeous images snapped by our photographer, we were in less of a rush to narrow down our favorites from the April 2016 ceremony. But for printing, paring down would be a necessity. Otherwise, we’d be looking at nearly 1000 printed photos! Perhaps we weren’t in a hurry to get to the print shop because we were traveling so much following the wedding. When you’re living out of a suitcase, there’s precious little space to pack physical photographs. 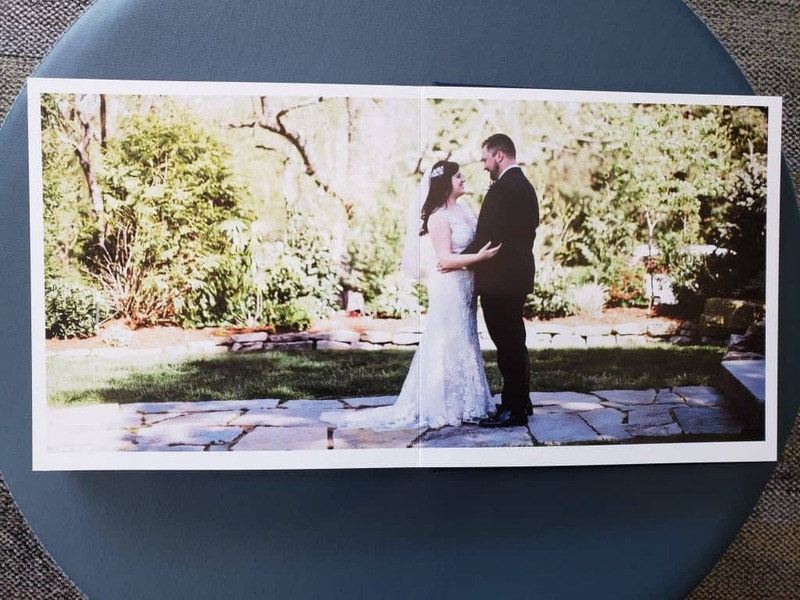 But this year, as we’ve become more settled in Vermont, we began to think about decorating our walls with some of our most treasured wedding photos. It was time to get printing. 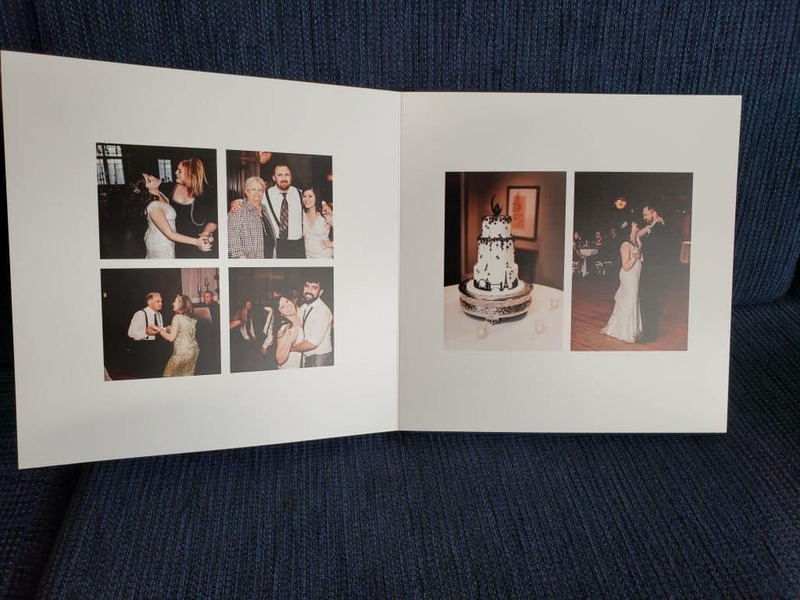 We were fortunate enough to partner with Artifact Uprising to finally get our beautiful wedding images into print. 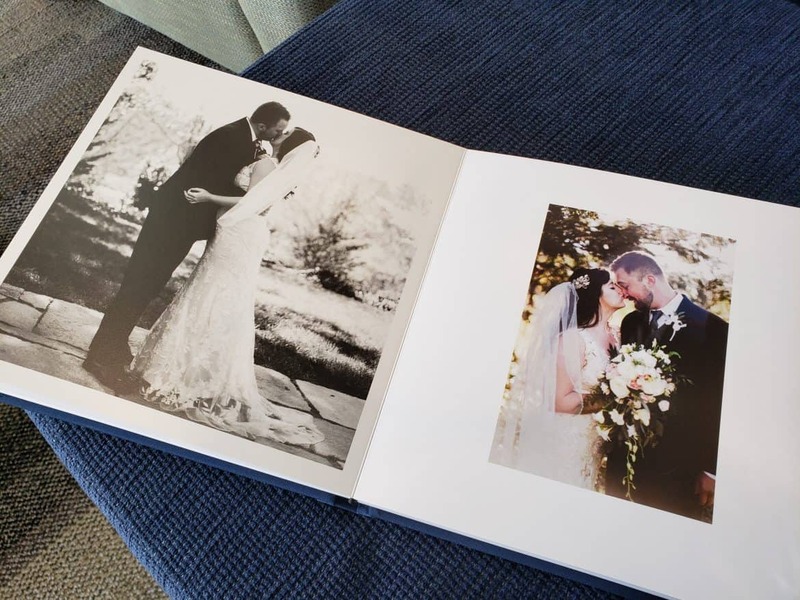 Through working this awesome online printing company, we were able to create a stunning photo book that we will cherish forever, as well as a huge framed print of one of our favorite wedding portraits. 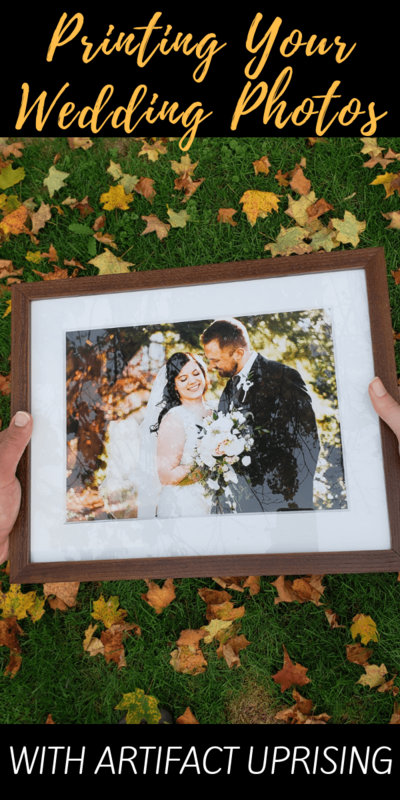 In choosing the photos and considering which ones to immortalize on our walls and on paper, I got to thinking about what goes into this decision. If you’ve got a USB drive bursting with files that need to be printed, here are a few things you can consider as you start the process. The average wedding photographer takes hundreds of photos on your special day. A good portion of these are of you and your new husband or wife. 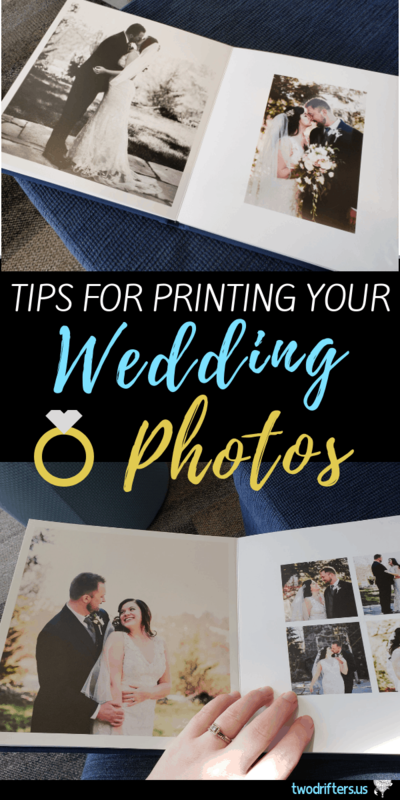 When it comes time to print those wedding photos, it can feel overwhelming to decide which are worthy of printing. It’s important to recognize that you don’t need to print them ALL. Hopefully, you chose an amazing wedding photographer who captured all the joy and magic of your celebration. What this means is that the hard work is done for you! 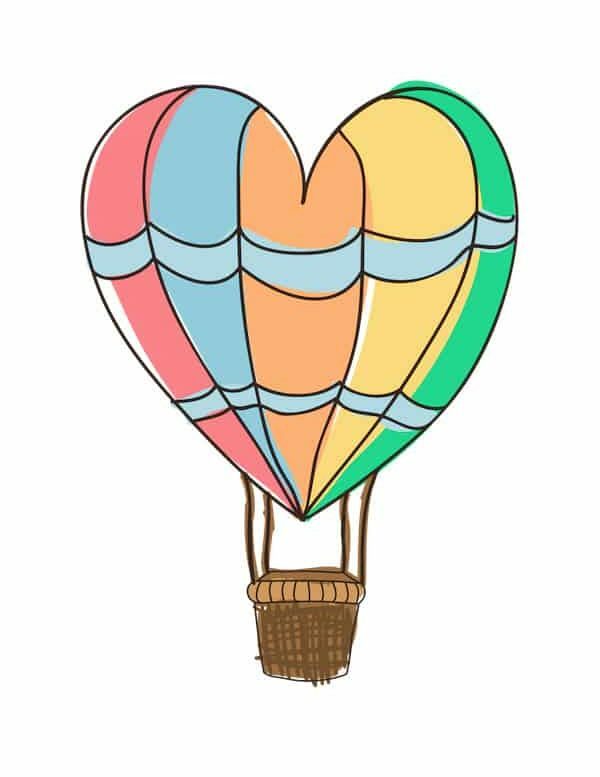 You’ve already got a bundle of gorgeous images in which you and your partner look terrific. The moral of the story is, you don’t need to print all 500+ of these. Pick a dozen or so (oh heck, make it 20) and get these printed. Your absolute favorite, we recommend having printed to hang on your wall, like this one of ours. Picking out your top photo is definitely a chore. I spent more than a few hours scrutinizing our faces to find the shot that showed us looking the most happy, beautiful, wedding-y, and which I wanted to immortalize on our wall. Finally, I picked out a photo that has stunning lighting and really displays the love and affection between us. There are so many I could have chosen, but this one encapsulates the day perfectly. Let’s get real. Printing wedding photos can be kind of expensive. But these are images that you absolutely cannot scrimp on. You’ve likely paid a pretty penny for your photographer; now you have to invest just a bit more for your framed photos and memory books. What we found while going through the process of having our wedding photos printed was that you have to keep quality at the forefront. 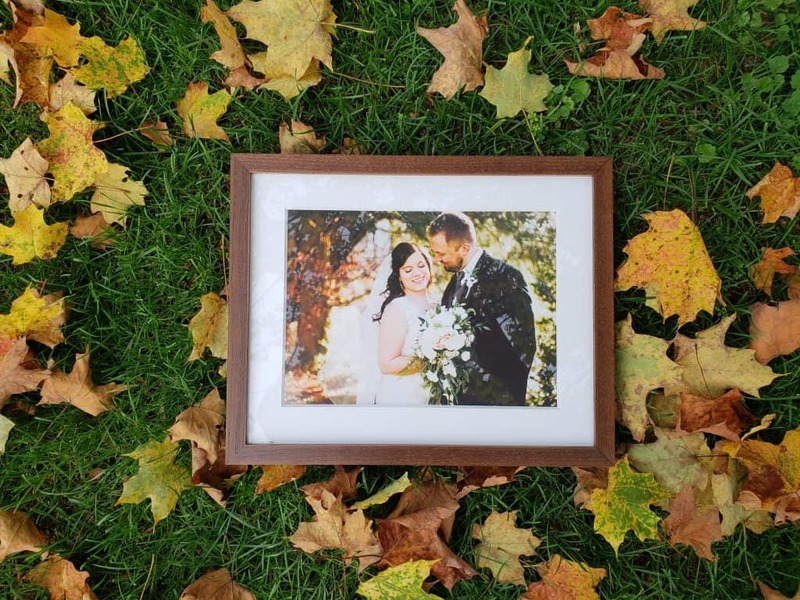 You’re going to want to print every single image from your wedding. But to be budget conscious, you will likely need to be more selective. Again, quality over quantity! We recommend spending a bit more to have bigger, more vibrant prints of your favorite images. In our lay flat photo book, which turned out LOVELY, our favorite pages ended up being those that showcased big images. This is especially true if you want to create a photo book that emphasizes the bride and groom. While having multiple images on a page did allow us to include more, the colorful edge-to-edge photos are just glorious. Focus on choosing your most beloved shots and showcasing them in a stunning way. The less stellar (but still equally treasured) shots can be saved for a later printing or another photo book. PS: I can’t wait to create a photo book of some of our favorite travel photos next! Another area in which you HAVE to focus on quality is in choosing your photo printer. We partnered with Artifact Uprising because they produce elegant, top quality products where the photo imagery is the focus. There also are a wide variety of products to choose from, and items can be customized to your taste. 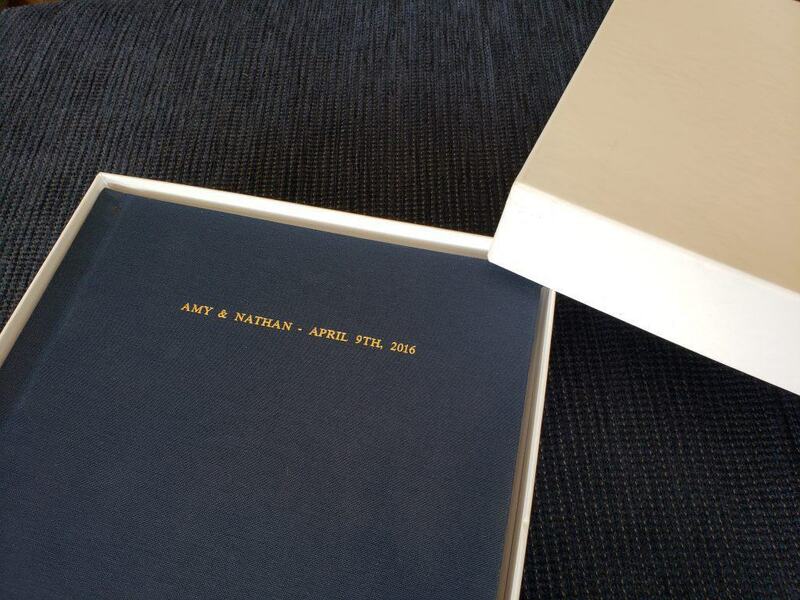 We chose a beautiful dark blue for the cover of our wedding photo book, which matched one of our wedding day colors! Finally, remember that you don’t have to get all your photos printed at once! It’s nice to remind yourself that you can take your time. 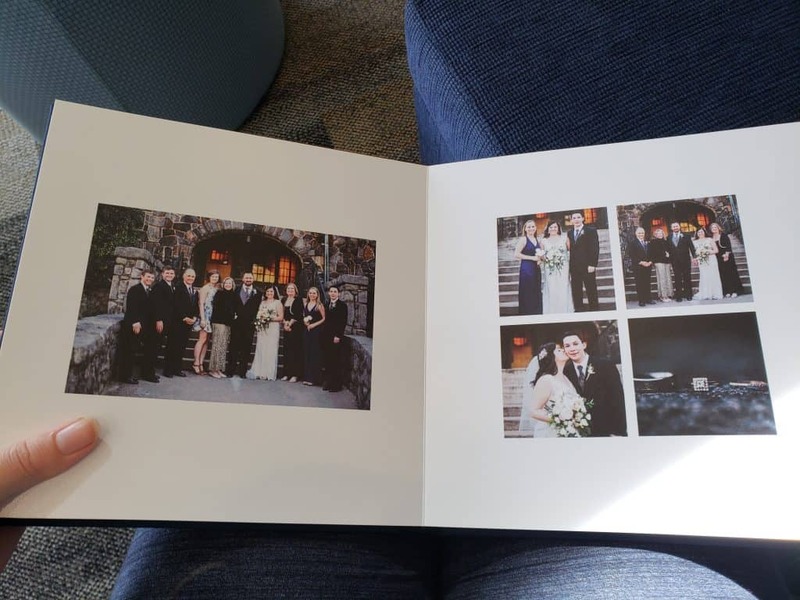 Now that we have made a photo book that features our couple shots as well as photos of family and the bridal party, we’d LOVE to put together an album that focuses on the reception and our guests. There are so many fantastic captures of everyone dancing, hugging, and toasting. These will make such a fun coffee table book for us someday, and we can look back and remember the amazing way we were loved by all who attended. Consider spreading your photos into multiple albums. This way, you can emphasize different portions of your wedding experience: one album for the bridal party, one for just the church, etc. Pro tip: This will make choosing the photos for each album far easier, as you’ll have fewer to contend with in each category. Now you’re prepared and ready. Happy wedding photo printing!! !